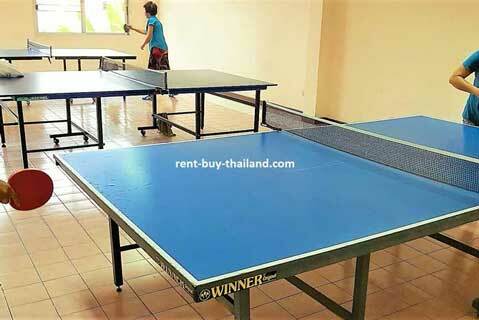 Rental Price 13,000 - 19,000 Thai Baht per month depending on season and length of stay. 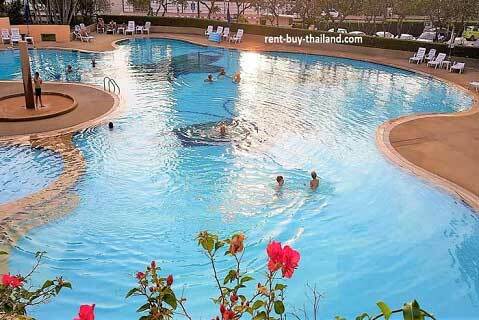 This is a great fully furnished studio apartment on the 12th floor at Jomtien Beach Condominium A2, within a short walking distance of Jomtien Beach Pattaya. The apartment consists of open plan living space consisting of lounge, kitchen and sleeping areas with a separate bathroom and a balcony with a sea view. Being fully and stylishly furnished it is ready for you to move in. The modern kitchen is of a European style and is fully equipped with pots and pans, crockery and cutlery etc., along with an electric hob with extractor fan, toaster, hot water kettle, microwave and refrigerator. The lounge area contains a double bed, plenty of storage space including a wardrobe, display cabinets, drawers and bedside tables; along with a sofa, a coffee table and a flat screen TV and DVD player. There is also access to the balcony via large sliding doors. The modern bathroom is fully tiled and includes a basin unit with storage underneath, and storage facilities, along with a large walk in shower. The balcony, which includes balcony furniture, and comes with the added bonus of a sea view! The apartment also benefits from a fantastic feature ceiling with concealed dimmer lighting, along with tiled flooring throughout, curtains, down lighting, a ceiling fan and air conditioning. Jomtien Beach Condominium is a well maintained complex in Jomtien, close to the beach and offers fantastic facilities, including: a large communal swimming pool with children's pool, a fitness center, table tennis, free use of bicycles, parking, 24 hour security and a variety of amenities such as laundry, wi-fi (available to purchase), shops, massage and beauty parlors, bars and restaurants. Located in Jomtien, which although quieter than Central Pattaya, it has a lot on offer for all the family - there are a host of entertainment and cabaret venues, bars, restaurants, shops, two fantastic night markets and a range of water-sports on the beach - there is even Jomtien's Walking Street - Super Town! 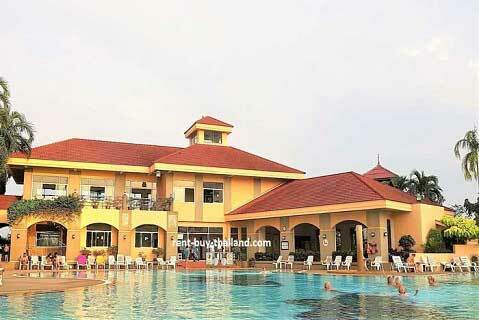 From nearby Beach Road, the main Baht Bus route between Jomtien and Central Pattaya, you can catch a Baht Bus into Central Pattaya quickly and easily, and enjoy the many amenities and entertainment on offer here. Other Jomtien Beach Condominium apartments are available, please inquire for further details.